By Liz Carlson | October 4, 2018 | This post may contain affiliate links, which means we may receive a small commission, at no cost to you, if you make a purchase through a link. Read our Disclosure. 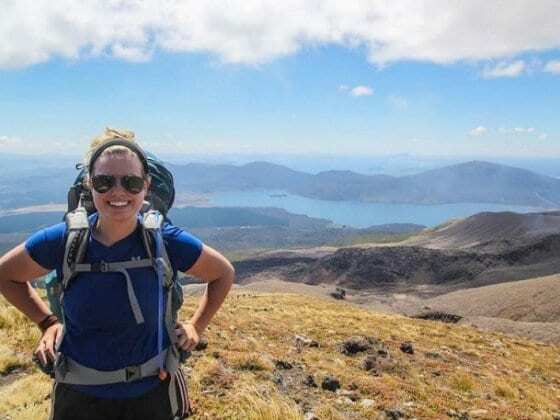 Today we are excited to share that Liz Carlson from Young Adventuress has kindly agreed to write for us once per month about all things solo travel. Whilst Caz and I have both traveled solo in the past, it’s way in the past and obviously most of our travels now are with our two young kids. So when we asked you guys recently whether you’d be open to featured articles on the art of solo travel, your reaction was enthusiastic. Turns out we have a rather large female readership, and a lot of you travel solo whether you’re female or male, so we wanted to bring someone on who could better relate to you guys. 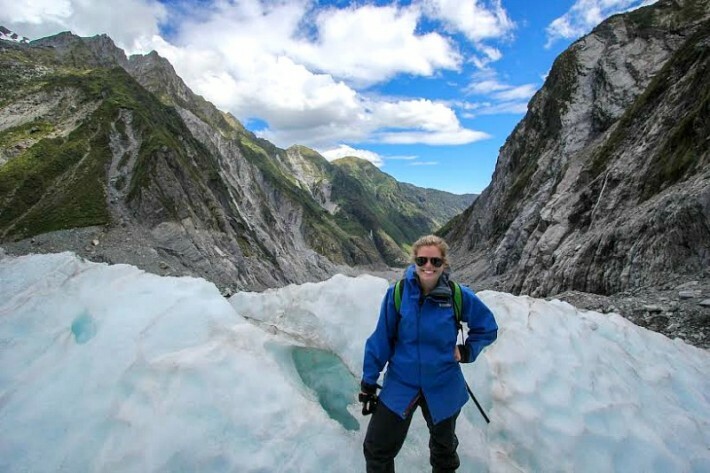 In case you didn’t know Liz is a great story teller through her own blog and has packed a wealth of solo travel experiences into the past 7+ years of her life, not just through traveling but living abroad as an expat. 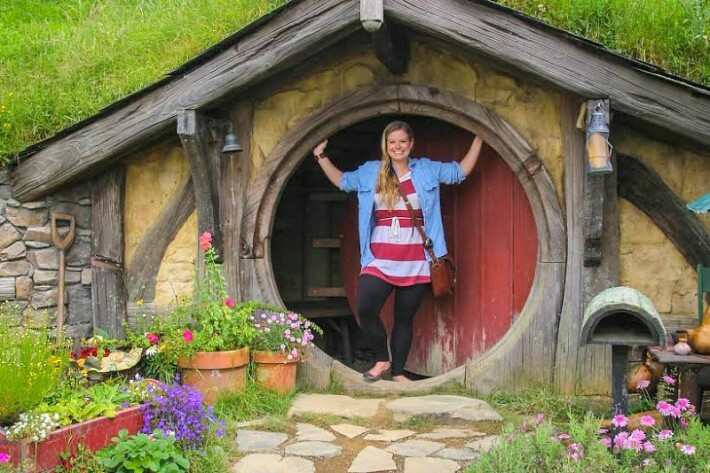 And even though Liz is female and likes to travel alone, I’m sure her insights will be beneficial to everyone whether you’re female, male, a solo traveler or even married with kids like us. Photography tips – you want pictures with you in them right? I grew up in Winchester, Virginia (I’m sure many of you have heard of it) before moving north to Massachusetts where I went to college at Mount Holyoke, the oldest women’s university in the States. 2. Did you travel much with your family as a kid? Favourite memory? I never really got to travel growing up which I think is why I travel so much now. Every summer my mom and I would head to Virginia Beach for a long weekend, and I have great memories playing in the surf. 3. Where are you currently based? I’m currently based in Wanaka, New Zealand. I’ve been living in New Zealand for almost a year, and I hope to stay here for a few years longer. 4. Any previous jobs or career before you moved overseas? 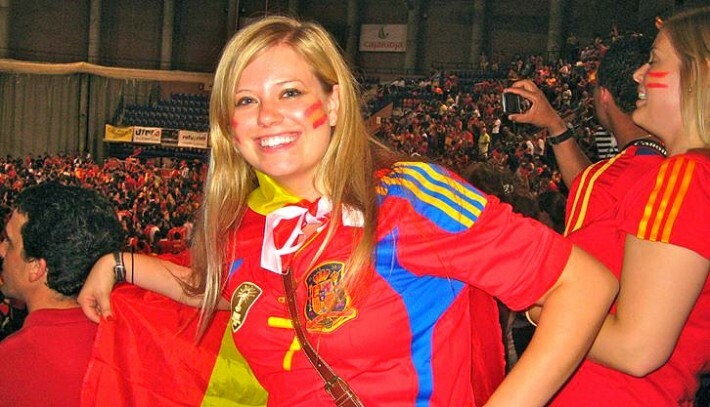 After graduating college I moved to Spain for a few years teaching English and when I started to become a serious blogger. I moved home to Washington D.C. almost two years ago to save up and build my blog into my full-time job before starting to travel again and move to New Zealand. 5. What did you want to be growing up? Or are you still figuring that out? I think I’ve always wanted to be a writer. I’ve been a book nerd for as long as I can remember. I almost went on to graduate school for medieval studies (yes, that’s a thing) but decided to put it off while I did some exploring and growing overseas. 6. What are you MOST proud about your home country? I’ve struggled with appreciation of the States for a long time, but looking at it now, I really am proud about our freedom. And by freedom I mean the ability we have to choose our futures and change our jobs, and the potential we all have to make and shape our lives into whatever we want. I’ve traveled all around the world, and that total freedom is rare, even in similar countries to the States. 7. In your twitter profile it says: “I like to zig while the rest of the world zags”. Have you always gone against the grain, even as a child? Always. Drove my mother insane. 8. How old were you when you first traveled overseas? When I was 16 my parents let me go on a 2 week high school field trip to Europe and it changed my life. It was my first taste for travel and I couldn’t get enough. 9. 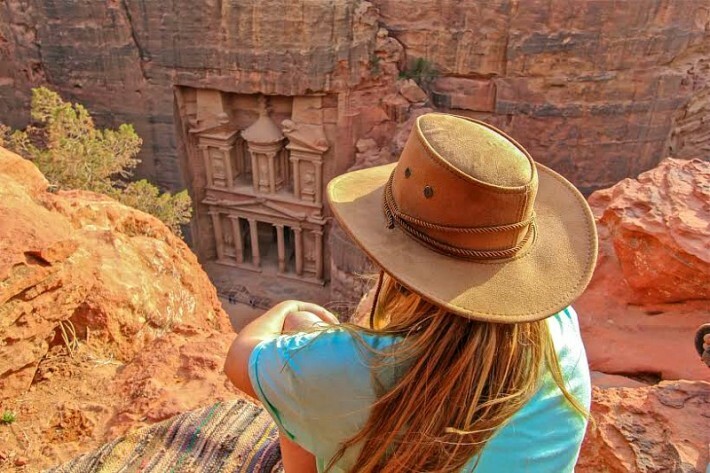 Do you hate the term “Solo Female Traveler?” Are you just someone who travels mostly alone, and are female? Or couldn’t care less about labels? 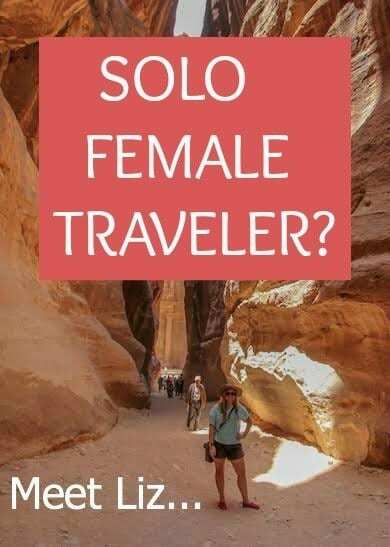 Personally, I really hate the term “solo female traveler.” I don’t like categories, and I’ve always just considered myself to be a person who is curious in the world and who just so happens to be a girl who travels alone; don’t box me in! However, since I started blogging full time and really started to engage with my awesome community of lady readers, I realized that I needed to get over my stigma of the niche, and see it as an opportunity to share my values and lessons I’ve learned in 7+ years of solo female travel. I even wrote a manifesto! 10. Do you always travel solo? Or at times with friends, family, groups? I prefer to travel alone, but sometimes I’ll plan trips with friends or meet up with them in places around the world, and I rarely join in on group trips. I only do group tours when I’m looking for less stress-free travel and to be able to share an experience with other people. 11. How long do you think you would last on a Contiki Tour? I wouldn’t even step foot on a Contiki tour. When I see their buses when I’m traveling, I run the other way. I’m not joking. 12. Tell us a little more about your traveling life, how many countries have you visited? I think I’m at around 40 countries, but I don’t really keep track. And as I get older I’ve slowed down quite a bit and I find myself returning back to places that I want to explore more and where I have good memories. Ticking places off a list has become less appealing. I lived in Europe for 3 years so I did a lot of backpacking and whirlwind weekends to the capitals during that time. 13. What other countries have you lived in? Besides New Zealand, I lived in Spain for 3 years, in Salamanca, Cordoba and Logroño for a year each. 14. Can you speak other languages? How’s your Kiwi slang coming along? 15. Backpack or suitcase? Which brand? Backpack all the way! 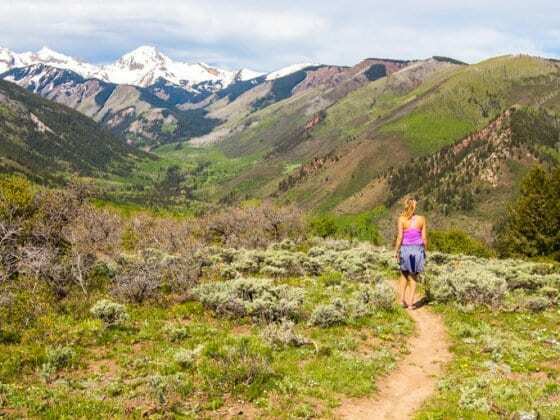 I’ve used Eagle Creek for years but now I’ve switched over to Osprey because I do a lot of trekking and overnight hiking, especially in New Zealand. Both make bags specifically for women which is awesome! 16. What gadgets do you travel with? So many gadgets! I can’t live without my Macbook Pro, multiple external hard drives, my Canon 60D, GoPro Hero 3 and iPhone 5. I keep them all nice and tidy in my ONA Camps Bay Backpack or Brooklyn satchel. 17. Why should everyone travel ALONE at least once in their life? I don’t think you can really know yourself or grow and become responsible and independent until you have to literally survive on your own without the familiarity or comfort of friends, partners or family. You mess up, you learn, repeat, and I think traveling alone at least once will teach you things about yourself you can’t really find other ways. 18. Any fears about traveling alone? Getting lost, feeling lonely, scary men, dangerous wildlife, other? Not really. Sometimes I get nervous on big hikes alone, depending on the terrain. If it’s potentially dangerous, I’ll go with someone else or wait. I’ve gotten pretty good at judging sketchy scenarios. So many! Canyoning in Switzerland really freaked me out, and pretty much everything I do in New Zealand terrifies me. I actually thought I was going to die when I fell off a camel in Jordan last year and almost broke my back. That incident has really affected me mentally. 20. Top 3 favourite cities so far? Wellington. New York City. Bilbao. 21. Top 3 favourite movies? Under the Tuscan Sun. The Lord of the Rings. The Grand Budapest Hotel. 22. Top 3 favourite books? Pride and Prejudice. Game of Thrones. Harry Potter – I’m a total nerd. 23. Favourite continent so far? 24. What experiences do you seek most when you travel? e.g. beaches, mountains, cities, food, culture, adventure, meeting people, history? I really love mountainous landscapes, and I find that I am drawn to them a lot when I travel. But I also just love experiences. Anything I can do that I can take away a lesson, learn something or have a great story to share makes me happy. 25. Your favourite social network? Instagram all the way! I’m a very visual person. 26. If you could eat your way through one country for one month, which country? Turkey. Turkish food really surprised me. I love the whole east-meets-west phenomenon and I seriously could just spend a year there and only eat. So delicious! 27. If we were to come over to your place for dinner, what is your signature dish? Depends on the season, but now that winter is in full swing I’m all about the French onion soup! Or homemade Mexican anything. Mexican food outside of the Americas is just crap. Across the board. 28. I’m sitting in a pub in Australia right now, if you walked in what could I order you? Whatever is local and on tap that’s not too hoppy. 29. What does Liz do to relax in her spare time? Just kidding, I am working really hard on trying to balance my time better and spend way less time on my devices. I always make time for reading, at least once a day, and I also try to get out and run or go for walks. 30. What’s one of your guilty pleasures? I get McDonalds when I’m on the road sometimes. I don’t even eat McDonalds when I’m in America, but sometimes I just get a craving! 31. How has travel made a difference in your outlook on life? Travel has taught me to be positive and happy. And to look on the brightside of everything. 32. Why did you pick New Zealand as your current residence? I wasn’t able to renew my visa in Spain, and I had always dreamed about New Zealand since I watched the making of the Lord of the Rings movies in high school. They have a working holiday visa where you can travel and work here for a year, and I knew that was my chance! Now I don’t want to leave ever! The first road trip I took was when I was living in Wellington, and I went with a friend for the weekend to Martinborough and the Wairarapa area. Driving over the crazy mountains and hiking along the coast to a seal colony really hit me, and I realized that I’m living at the end of the world. 34. “I’m still laughing about that time I ___________. …fell off the camel in Jordan. Hurt so bad but what a funny story! 35. Kiwis are OBSESSED with Rugby, can you name the captain of The All Blacks without cheating? No clue but I do know they all look smoking hot when they do the Haka before games. 36. What do you miss most from home? Right now in winter? Central heating and double paned windows. I also miss my family, and getting to watch my nieces and nephews grow up, and being able to talk with my friends and family without a 16 hour time difference. 37. Where is your next trip? I’m off to Mongolia at the end of August! 38. Tell us a little about your travel blog and it’s purpose? My blog Young Adventuress is about experiential travel and storytelling. I love to share narratives, funny anecdotes and things I’ve learned while living abroad and traveling the world. For me, travel is dynamic, it’s always changing for the person on the road. I love being able to share my thoughts and the life lessons I’ve taken away in the hope that it might inspire other people to try something different and get out of their comfort zones too. 39. Where else online can we find you online? What a great partnership! I follow Liz on Instagram (along with the rest of the planet) and she seems to have lots of fun. She’s definitely inspiring me to explore more of New Zealand while I’m hear. Sadly I must admit I’m not a woman but I’m sure I’ll still get something from her guest posts! I love the fact I can get my two favourite blogs I follow in one spot now. The 5 of you combined make for such incredible reading and picture viewing. It was Liz’s “Today I quit my job to travel the world” and Craig’s “I want to know your secret” where my dream was realised. Thank you, and for also inspiring me. Great to hear we’ve inspired you to follow your own dreams and thanks for following along. Happy travels! Great idea to have Liz add her expertise to your site. I think many of us who are parents (like you, too) cherish the days when we set off alone and hope to inspire other young people to do so, too. Also, I agree with her notion of freedom in the U.S. as far as opportunity and career go. The love of following one’s dreams and even changing careers throughout life is not as strong in many other cultures. Wow….quite an entertaining interview! Nice to meet Liz. I think I will be following her blog now. 🙂 Although I’m myself a solo travel expert, I still like to read about it. It would be wonderful to have Liz’s point of view – she has been an expat as well. Looking forward to the solo series. Cheers! 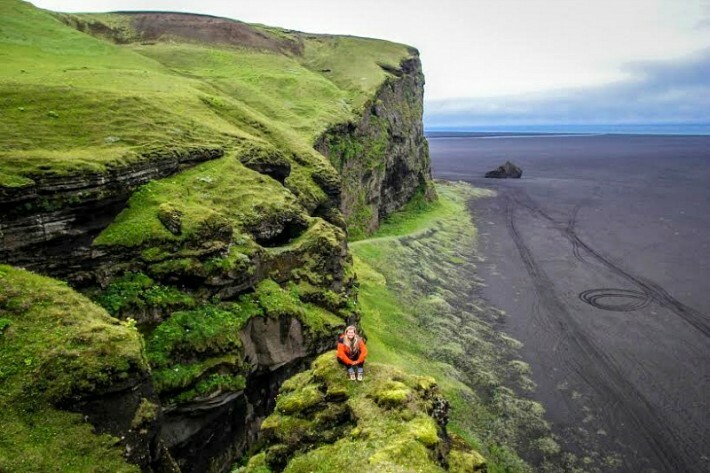 I totally agree that you can’t fully know yourself until you travel by yourself! Would be nice if you chose an Australian to write this series. I’m sure Liz has plenty of expertise (she does. I’ve read her blog a few times) but she writes from an American perspective, which is great but it’d be nicer to read from an Australians perspective. 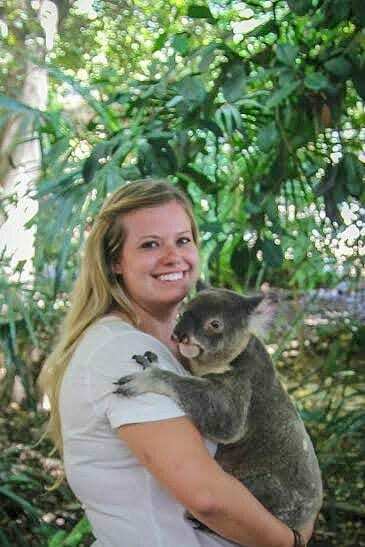 Please look at getting an Australian female traveller to contribute as well! We will get many different contributors. Please bear in mind we have a wide international audience and from our perspective we care more about how much information and inspiration a contributor can share than where they come from. And Liz is that person. We do not want our blog to be a place that divides or makes decisions based upon nationality, we embrace all. Travel taught us the value of that and we intend to live that through our own blog. The Australian perspective is more than covered through our own stories and tips. Thank you for your suggestion. I can’t believe the names of the countries aren’t on the tip of her tongue, I know if I had managed to visit 40 countries I would be able to name them on request, at least I’d keep a page of the countries on my blog since my memory may not be able to handle any list with 40 items. Great interview. Well to be honest Robert off the top of my head I’ve lost count of the number of countries I’ve visited also (over 35). Maybe I’m losing my memory as I get older, but if I sat down for 5 minutes I could name them, and I’m sure Liz could too. Yeah a mention somewhere on our blog is a good idea. Great choice guys! Liz has a great style that will fit in beautifully here. Look forward to reading her contributions! It’s Great to see a courageous women like You. Excellent idea to have Liz contribute to your site! She’s so inspiring! Wow! you really inspired me with your amazing trips to any parts of the globe, and most of all i love all your beautiful photos. How i wish i can be a solo traveller like you. I have traveled too but mostly in Asia due to business trip and i tried to spent a little time for pleasure when ever i got the chance. I hope someday i can do all the great things like other traveller does,exploring the world and most of all enjoying life as a full time traveller. Having landed in Wellington on Feb 1, I’ve been following Liz’s blog for a few months now. I find it great and some of the issues she encounters are helpful, as it can be a lonely place being so far away from the rest of the world. Very useful information I like it. I love pic of natural beauty! Look forward meeting with you at Cinnamon – Cocktail & Awards Ceremony.